When I first went and stayed on property back in 2005 my dad (whose an accountant) did the math. You definitely save money when you get the Disney Dining Plan. For example, last year we went to a restaurant called Coral Reef. Our Bill came to $105. 00 but we only paid the tip! See what I mean? You do pay in advance for the dining plan, which is roughly $100.00 but multiple approximately $105.00 per day you stay there... Yikes! 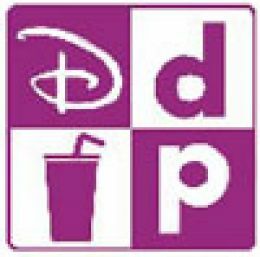 Disney offer's FREE dining plan every year. Which Dining plan do I Recommend? Quick Service, Basic and Deluxe. Quick Service plan gives you only quick service meals 2x a day w/ 2 snacks a day. Deluxe Plan: 3 table service and two snacks. When my mom and I go we get the basic. With Deluxe you mostly spend your time sitting and eating while you can be out doing rides and attractions. Plus I don't know who can eat that much in the first place. With the Quick Service you get: Drink, Entre, and Dessert. With the Table Service you get the entre, drink, and dessert. Now a days you also get a FREE refill Cup which you can use at your hotel for the duration of your stay. When you are on the Disney Dining Plan you should make ADR's. ADR's are Advance Dining Reservations, which are totally needed for your vacation. What Disney changed about ADR's is that you now need to book ADR's with a credit card. Disney charges you $10.00 per person for same day cancellation which in my opinion is really stupid. But what can we do?